In order to ensure your commercial CCTV system functions reliably it is important to ensure it is routinely inspected. This ensures that surveillance of your your commercial premises is ongoing and your assets are protected. At Tecserv UK we can carry out most routine maintenance and inspections whilst the equipment is still fully operational and therefore surveillance continues uninterrupted. Why do I need a CCTV alarm maintenance company? To ensure your CCTV system is regularly maintained we recommend a service agreement. A Tecserv service agreement includes a minimum of one visit per year and will be carried out by our trained service engineers who will provide the written record of regular maintenance which is often a legal requirement of commercial building insurance. What is included in a CCTV maintenance contract? A service agreement helps to maintain the reliability of your system and minimise the occurrence of emergency called outs to repair faulty equipment. Once the camera is properly cleaned, the engineer is required to monitor all automated and remote control functions and that all camera movement, as well as the area of the premises they view, are not obstructed. Check that all cables are properly mounted, or supported by the correct conduit, and that the insulating plastic is showing no sign of wear and tear. Check that all indicator lights and pre-sets are functioning correctly. Verify that all warning labels and notifications are present and clearly visible. This also applies to a full connection check of all components in the CCTV circuits. Check that all fixtures and fittings that ensure that the CCTV itself is properly supported are in place. This examination should include looking for signs of physical damage and any form of chemical corrosion. Any damage should be repaired as soon as possible. Many business owners check that such repair work is possible within the terms of their maintenance contract. The engineer is also required to check any log books or computer held data pertaining to the CCTV system and advise on any necessary updates relating to such data. Our mission is to protect people, processes and property. In doing so we help our customers to also protect their brand and their profits. Most of us want to run a commercial or industrial business safely and securely. Achieving this means having the best in fire protection and security equipment and the support of a trustworthy maintenance and installation company like Tecserv. Ultimately, we provide you with peace of mind – best fit solutions, reliable maintenance and support, fair and clear pricing structures. Tecserv UK Ltd act as consultants to the insurance industry and to those responsible for Britain’s heritage buildings, including English Heritage and The National Trust so your protection is in safe hands. If you are considering installing CCTV in your hotel, what should a hotel CCTV system look like? probably isn’t the most important question that should be asked. As specialists our advice would be to focus on the rationale as to why you should have CCTV. The lack of CCTV surveillance system password security has led many to question their vulnerability to hacking. Tecserv UK explains how to eliminate this risk with a simple change. Let us know how we can help with your project? 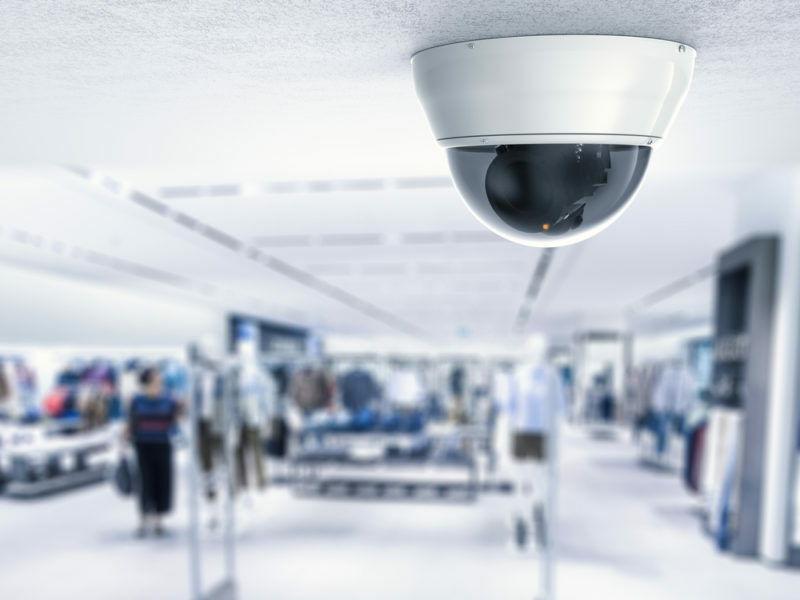 A case study explaining how Tecserv helped The McArthurGlen East Midlands Designer outlet to upgrade CCTV systems and PA voice address systems across their retail park.